One of my favorite steps in the wedding design process is creating your floral vision and selecting a florist that best fits your event aesthetic. Having years of experience in the event industry and an acquired wealth of knowledge gathered from a group of talented florists, I personally enjoy the consultation and design process as it comes naturally to me. However, I do recognize that vendor consultations can be a daunting task and understanding what to bring to each appointment might feel a bit overwhelming. That is the truth that inspired this post and why I’m sharing how to prepare for your wedding florist consultation. The consultation process is the first step in selecting your vendors. This is your chance to meet your potential vendors, understand their business mission, overall aesthetic, inventory, and get a feel for if you’re going to work well together! While it’s true that you can bring as little or as much detail as you would like to these consultations, I always take the approach of being over-prepared for my consultations so communication can be streamlined and an accurate quote can be provided after the meeting. To prep you for this initial meeting so you get the absolute most out of your time spent together, I’ve outlined 3 tips on how to prepare you for your wedding florist consultation as well as provided a few tips from a Pittsburgh Florist and extremely talented sister-duo at Sapphire and Lace. If you’re looking for more floral knowledge & would love the opportunity to ask a Pittsburgh Florist some questions, head over to my Instagram tomorrow 10/30/18 (@alyssathomasevents) Sapphire and Lace will be taking over my Instagram, sharing some flower insight and answering some questions! General Inspiration Board: Creating an inspiration board that includes images of all of your wedding day details is key. (i.e. share color inspiration, pictures of flowers you love, an image of your bridesmaid dress or tux inspiration, favors, linens) Wedding Florists love seeing pictures of your entire wedding day inspiration to help guide their creative direction. This inspiration board can be 1-2 pages of your favorite images that exude the aesthetic and atmosphere you want to achieve. It doesn’t have to be fancy. You can cut out magazine images or print images you found on pinterest. You can also use Canva to upload photos in a grid or collage! Your inspiration board should include non-floral details (so your florist can see the entire vision) as well as specific floral images. Specific Wedding Flower Inspiration Board: When creating the specific floral portion of the inspiration board, you should break it into a few categories so it’s easy to digest. The four categories include: 1) Wedding Bouquet 2) Ceremony Flowers 3) Reception Flowers 4) Extra Floral Details. Within each of these categories, include images that represent each. In the Wedding Bouquet Category, it’s important to share with you florist three different elements. Shape/Size, Color, and Flower Type. This will give your florist more specific direction on your bouquet and a good starting point for conversations. From there, your florist will provide you with insight on popular wedding flowers, wedding flowers by season, what colors will be available, and prices on different size bouquets. Color Palette: Taking your inspiration board a step further, it’s important to share your color palette with your florist. Paint swatches provide excellent color direction if you have multiple shades you would like incorporated. **TIP: Once you’ve booked your florist, the next step would be sharing some linen swatches, bridesmaid dress fabrics, and examples of materials or textiles that you’re using in your wedding day. This will help give your florists additional guidance on the exact colors that will be present in your wedding day so they can be intentional about the color of blooms the source for you. *** It’s important to note that florists will use your images of bouquets and centerpieces, boutonnieres, and ceremony arbors that you’ve collected to help guide their creative direction instead of dictate their creative direction. The florist that you ultimately choose should understand your vision and have a creative aesthetic that aligns with your wedding day design. You should trust your florist to take your inspiration images and create florals that are unique to you and your wedding day. Please don’t expect your florist to copy exactly what you’ve shared. They are artists, and should be given the creative freedom to exceed your expectations and use your inspiration to inform your floral expression. Florists will greatly benefit from seeing a list of vendors that are providing a lot of the design work and exactly what you’ve selected from each of them (i.e. Stationary, Linens, Lighting, Dress Colors, Venue, Photographer) Whether you have already finalized other design elements, or are still in the works, it’s important that these details are shared with your florist so they can create arrangements that compliment these designs. There’s nothing worse than having beautiful invites and beautiful flowers, but neither of them coordinating or looking synchronized when shot together. Florists are experienced professionals in the wedding industry and know/have worked with a ton of vendors. Just by sharing your secured vendors will give them more insight to your wedding day which will better inform their creative direction. This step is a bonus. 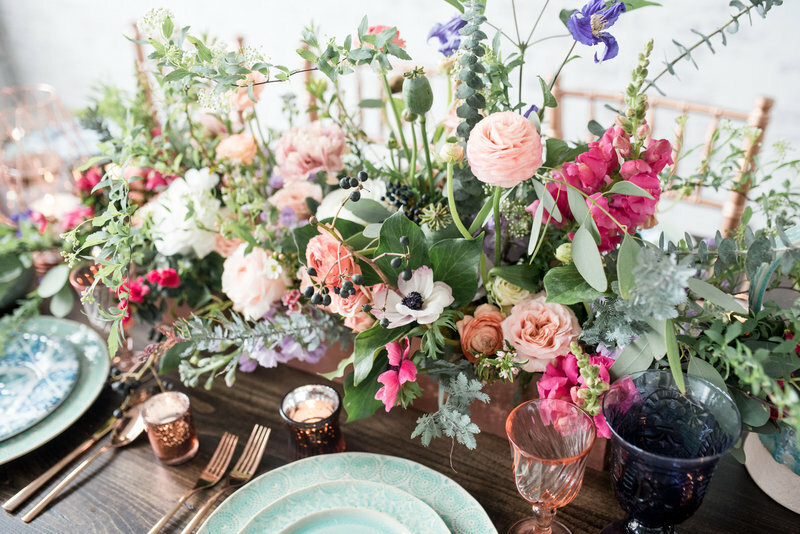 This by no means has to be finalized by your initial wedding florist consult, but it should be considered and discussed at a high level so your florists can provide you with an accurate quote. You should come prepared to your consultation with the estimated floral counts as well as any other potential decor items that you will need your florist to provide. How many bridesmaid bouquets, boutonnieres, centerpieces, wreaths, hanging lanterns, table numbers, mirrors, votives, etc. 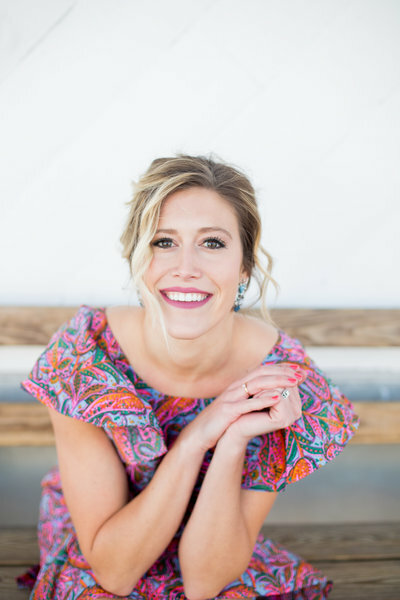 It’s important to provide an accurate estimated count so they can create a quote that reflects your wedding day and won’t fluctuate a ton after that initial consultation. If you only have your florist quote you on 1 bridesmaid bouquet, but you end up asking 8, your quote will fluctuate by a couple of hundred dollars once that change is entered. A consultation with your wedding florist will consist of discussing your vision, providing the necessary images and information that outlines that vision, and choosing a florist that you fully trust to design wedding flowers that are unique to you and your day. Typically after a consultation, the florist will send you a quote outlining the costs of each item requested and you will work together to add or subtract to that quote according to your budget or vision. When should you book a florist for your wedding? A wedding florist should be booked no later than 6 months prior to your wedding day. However, if you want to have your first choice of florist or you wish to book the most desired florist in your city, you should book them 9-12 months prior to your wedding day in order to reserve your wedding date. What’s the average cost of a wedding florist? Standard traditions suggest that the Bride’s family pays for the wedding flowers. However, its more common in today’s age that multiple people split the cost of the wedding (ex: bride’s family, the bride and groom, groom’s family) If this is your circumstance, anyone can step in to pay for the wedding flowers depending on how the budget was broken out for each party involved. It should be clearly communicated in the beginning stages of the budget creation process on who is paying for what.